The spectacular view from the tee explains the name of the hole. 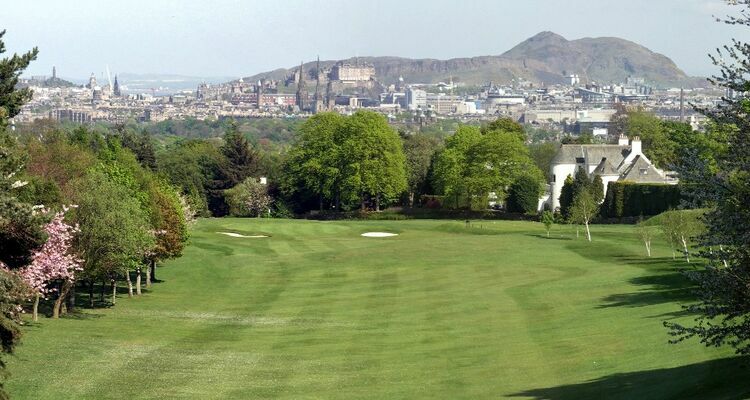 The vista over Edinburgh must rank among the finest on any course. 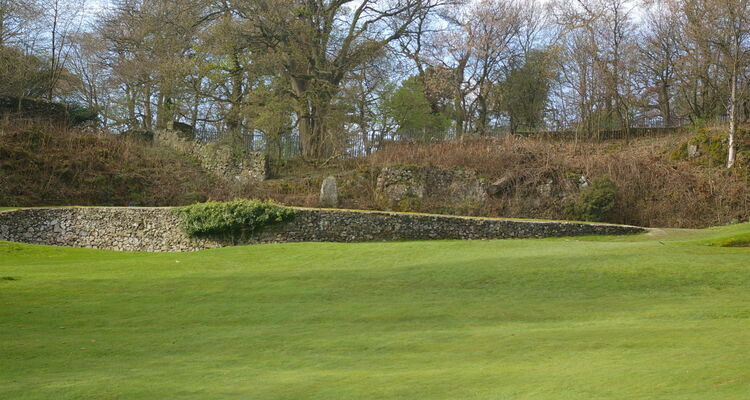 After enjoying the view, the Castle is the line with drive for the middle of the fairway. Make sure you clear the two front bunkers – no trouble at the back.